Step your bocce ball game up to the next level with Franklin's Advanced Bocce Ball Set and challenge friends and family in a game between two players or with teams of two, three or four. Bocce ball is an easy game to teach and learn. The objective is to throw the bigger bocce balls closest to the smaller scoring jack. Step your bocce ball game up to the next level with Franklin&apos;s Advanced Bocce Ball Set and challenge friends and family in a game between two players or with teams of two, three or four. Bocce ball is an easy game to teach and learn. The objective is to throw the bigger bocce balls closest to the smaller scoring jack. 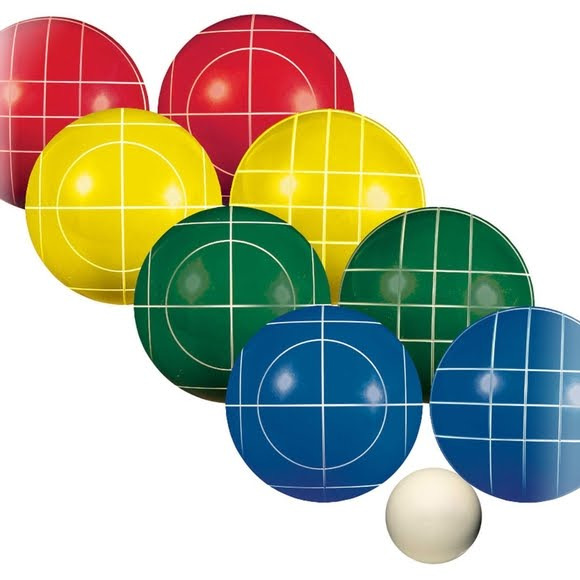 The advanced set includes eight all-weather molded bocce balls, one scoring jack and a deluxe carrying case so you can keep all the balls organized neatly when not in use.